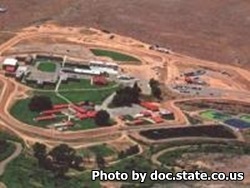 Delta Correctional Center is located in Delta Colorado and houses level I minimum security offenders. The facility itself can hold almost 500 inmates. Because the inmates at this institution are minimum custody offenders, many of them are allowed to work for federal, state, and local not for profits located off facility grounds. These off-site work programs enable the inmate to leave the facility and return at the end of the work day. Because many of the inmates at this facility are in the final stretch of their sentences and are minimum custody inmates, the institution runs a pre-release program which prepares the inmate for their return to society. Inmates can also take parenting and GED classes. You must be approved prior to visiting by filling out a visitors application. The visiting hours are 9am-4pm on Saturdays and Sundays. If you arrive after 2pm you will not be admitted to visitation.